Last week the Messengers4Change Friday Summer Nights Programs kicked-off in East and West Oakland. 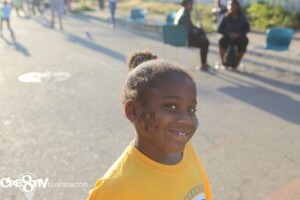 Both events were hugely successful, with community members enjoying free food, entertainment, and the warm summer night. 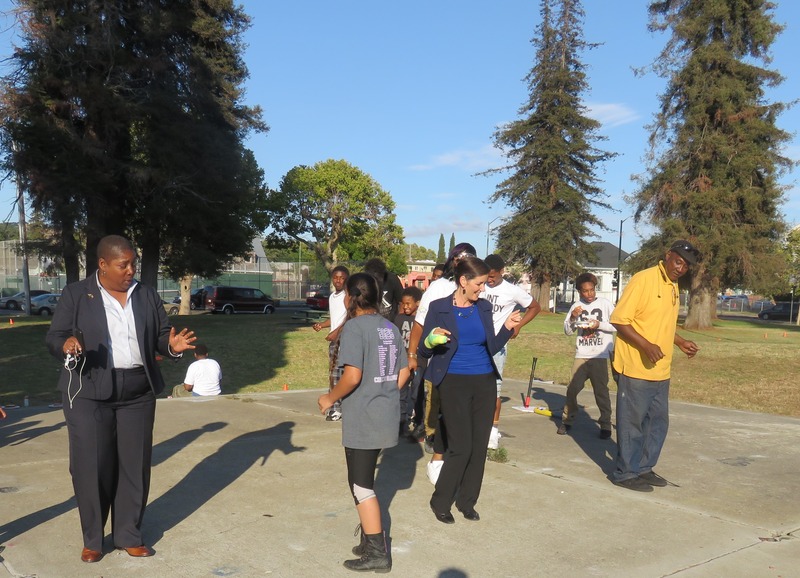 Mayor Libby Schaaf was able to visit both sites and spend time with the communities around Willie Wilkins Park in East Oakland, and Brockhurst Street in West Oakland. 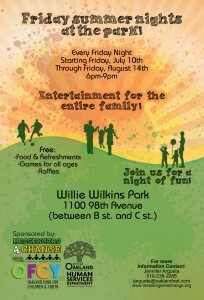 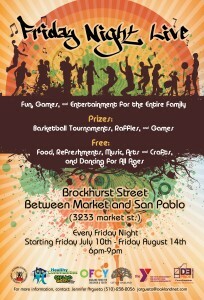 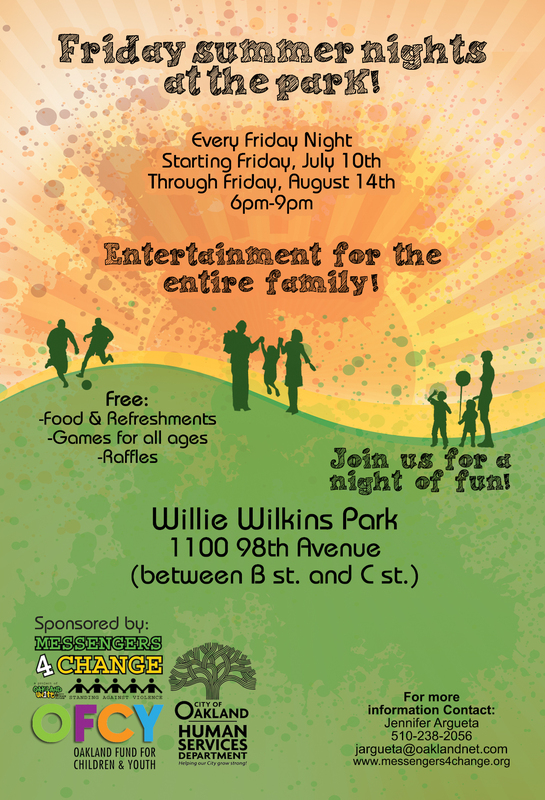 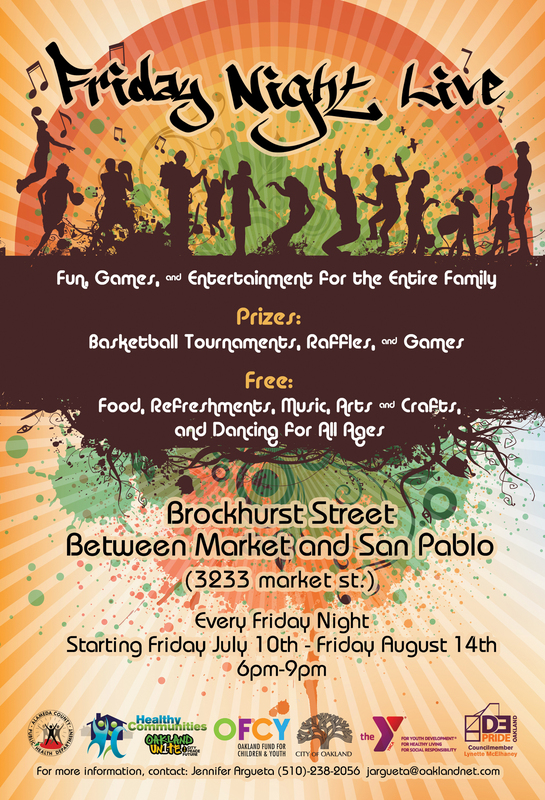 These events will happen every Friday night through August 14th, from 6-9:00 p.m.